IoT, rotten home AP firmware, freaking Wi-Fi cameras: They’re all eating your lunch. 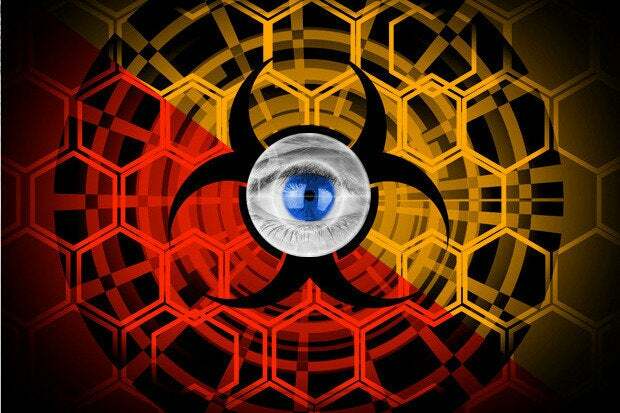 Here’s an Advanced Persistent Threat notice: EVERYTHING AROUND YOU can give you a miserable day. It’s now entirely myopic, and hence irresponsible, to think there is such a topic as enterprise security because sadly video cams in Macedonia can give your hosting environment a DDoS headache. Poor TLS handshakes crack browsers open like an egg. Your router vendor had all of the hardening of a “fairy tap.” Remember those when you were a kid? A fairy tap was a gentle touch, designed to invade your space but do no damage. Now the damage is pOwn1ng your infrastructure. Or you business partner’s infrastructure. Your entire employee roster, presuming everyone’s on LinkedIn, is now data in the possession of Microsoft, which purchased it. This is after Verizon’s stash of MyPlace and Yahoo user accounts—all of them, none withstanding. Add to this all of the views and adverstising data mining from the Huffington Post, VariousCrunches and more. And, well, the piles of data accumulate whether you’re an employment recruiter or just someone who likes to find interesting correlations for industrial intelligence. Also, I wouldn’t have learned of VMware’s new ProjectNee.com if it hadn’t had been the listing for one of its developers, whose name popped up as a potential contact in LinkedIn. Another interesting way to see what’s happening? Finding semi-secret/alpha/beta listings your employees leaked on their proud online resumes. Good thing they don’t post their credit cards and SSN information online, I suppose. Just for grins, let’s throw in a new regime in the U.S. Although this was inevitable, it’s unlikely to change the myriad U.S. government systems’ infrastructure, a vast sea of incompatibility, truly ancient hardware, and a workforce whose average age is over 60 because of Cobol, Ada and systems that were state of the art before the iPod and HD-TV. Let’s add bad state actors, probably some of our own, probing and sniffing and vacuuming data into huge piles. This is why the storage and drive business will never, ever go dry: No one throws anything out. Yes, there are pockets of hope. I recall a colleague who used to spend the first two-thirds of his opinion pieces ripping a specific industry segment to deserved shreds—no holds barred, slammed to the mat until there was not much left except small unidentifiable shards of the topic at hand. The final third of his tomes were in guilty apology, hand-wringing, abject sorry for having decimated the topic, the players, the morality, the impropriety lain bare, the evils exposed. When I would talk to him about these slivered screeds, he would nod his head somewhat in shame, but it was his destiny. It seems some days, valiant, that is – the security concerns I write about, and other days, a ship of fools.